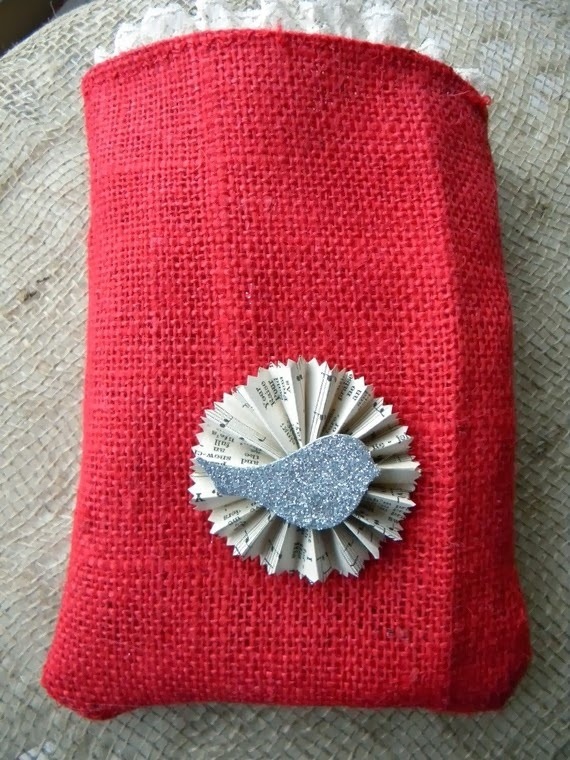 Today's fun project uses our cute little burlap bags, chantilly textiles and some glitter paper. The fabric around the bag opening was cut with pinking shears (although our fabric NEW in the package is cut like this clear around the perimeter so you could easily make this project without needing pinking shears... but my fabric is well loved and I just had scraps left. I used some of our sticky strips to adhere the fabric inside the top of the bag. The fabric was about 1 1/4- 1 1/2 inches wide so I had plenty to show out the top. I used a sticky circle to make my fabric ruffled circle. The heart was cut with my cricut out of our black glitter paper. This would make a cute idea to give to your kids on Valentines... maybe leave on the table the night before so they find it when they wake up. I will warn you that the burlap in these bags is pretty strong smelling... I highly encourage you to take the bags out of the packaging as soon as they arrive so they can air out and only put "wrapped" food in them!